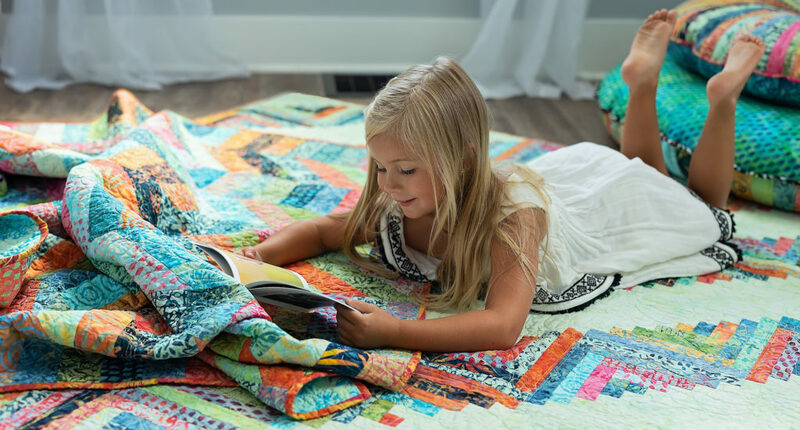 I Luv Luci is a collection of 36 coordinating Majestic Batiks offered in individual bolts, pre-cut strip sets & squares along with a variety of patterns. This collection is a little retro with very pleasing colors – not too bright and not too light – but just right. We love our finished projects. Take a look and let us know if we can help get your store stocked up with I Luv Luci. 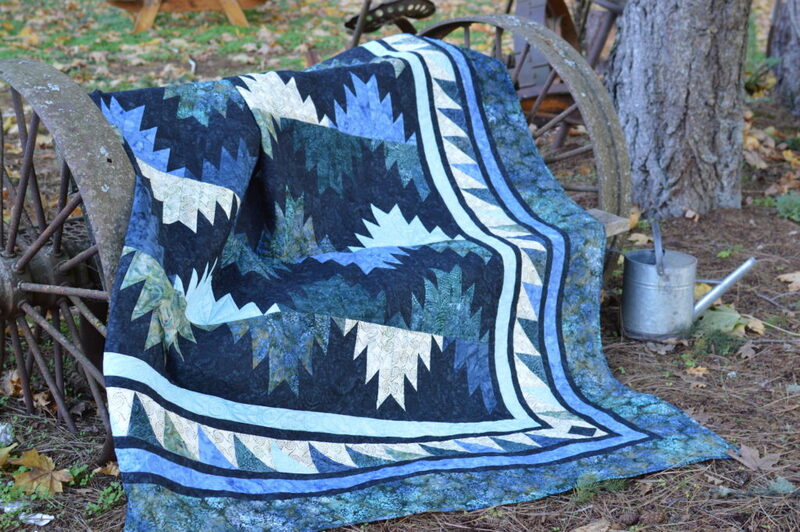 Inspired by the Pacific Northwest, this quilt reflects our love of hiking, fishing, and the Great Outdoors! Cascades is available separately or in a bundle including patterns and nine coordinating batiks as pictured. Pre-order now while supplies last. Majestic Batiks Dinner Plate Dahlia features a collection of yellows, blacks and whites, stunning, yet simple. This quilt reminds us of bumblebees and honeycombs!